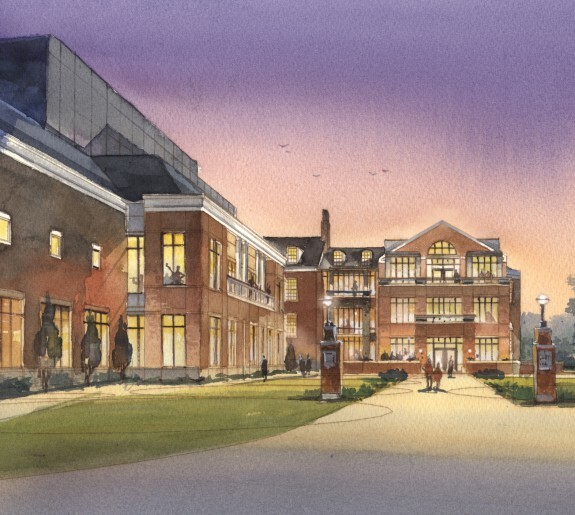 A new, improved facade will help create a new building entrance, oriented towards a new campus quadrangle. 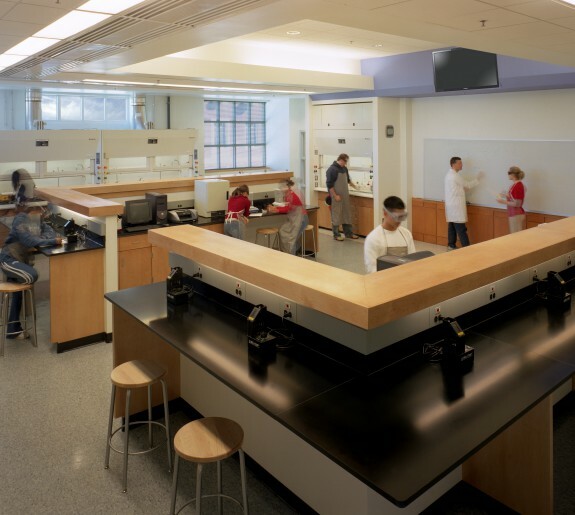 The McDonogh School engaged Design Collective to renovate the Lyle Building soon after soliciting the firm for the renovation of the historic Allan Building. The renovation will allow for new administrative spaces, including offices and conference/meeting space, as well as a School Store that can serve as a Welcome Center for students and their family. 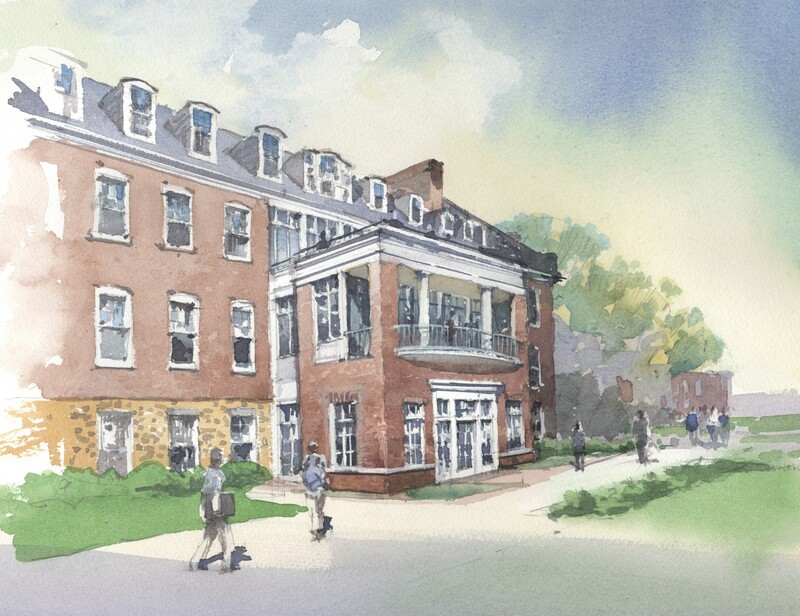 A new, improved façade will help create a new building entrance, oriented towards a new campus quadrangle. The renovation will also help to seamlessly connect the old entrance of the school to the new entrance on the new quadrangle.